The hayfever forecast says we are only barely feeling the effects of cedar pollen, but my body is ramping up with itchy eyes, a sore throat and sneezes. Even my skin itches already! Gone are the years when my allergies were still tuned to the pollen of Pennsylvania. 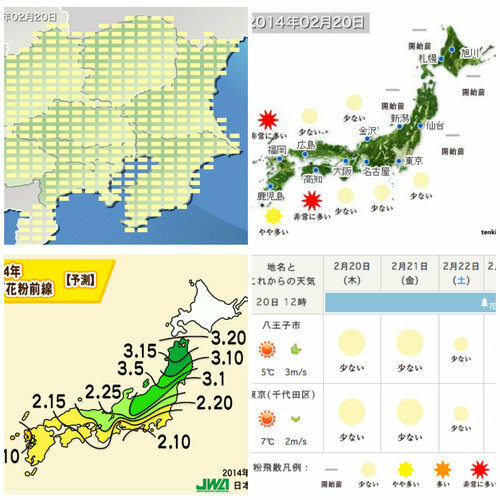 I am fully allergic to spring in Japan. A large percentage of Japanese suffer kafunsho, so at this time of year the drug stores are stocked with remedies and preventatives. From special goggles to nasal blocking gels to antihistamines, there is a fix for everyone. I am a fan of jala neti, putting up with it, and acupuncture. But if the beginning of the season is making me react like this already, I might be reaching for the Benadryl.